136 Seiten, kartoniert, Russel, 2. Auflage 2009. 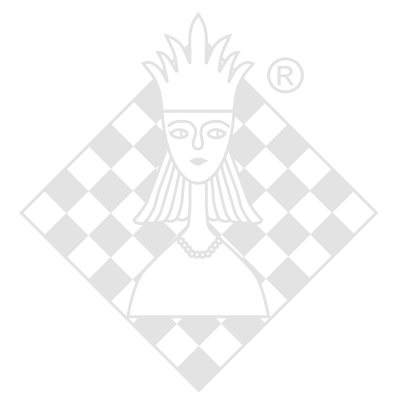 In this updated and revised second edition of Let's Play Chess, you will find the rules, the logic, some of the culture and history, and the basic principles of good chess play. "Chess is by far the most popular board game in the world. There are millions of players of all ages and the number keeps growing. Maybe it's because you become a general who directs an army against your opponent in an exciting battle of wits. Whatever the reason, chess is challenging and fascinating. "I have tried to be as direct as possible. To make your journey a smooth one, the fundamentals have been broken down into short, logical statements. Each idea is numbered, ordered, and clearly stated. For the most part, statements are linked in graded sequence with the easier ones preceding the harder. The format is unique and easy to follow. You should feel yourself learning step by step. Chess Master Bruce Pandolfini has been one of the most popular chess writers in the world for more than four decades. He has written on all aspects of the game and is also considered one of the premier chess instructors in the Unites States.